The Morton Arboretum is a living tree museum where curiosity grows, and kids flourish. There is nature to discover in every corner of this 1,700-acre outdoor classroom. Take a hike, bike, ski, or snowshoe on 16 miles of trails. Learn about trees from chalk-written signs updated weekly. Or focus your explorations in the four-acre Children’s Garden. Built in 2005, the Children’s Garden allows visitors to splash through secret streams, climb colossal acorns, and slide down giant tree roots. Explore, learn, and play among trees and the natural world. The Children’s Garden is also home to many drop-in activities for kids and families; special events like Thursday Family Nights with live music are common. 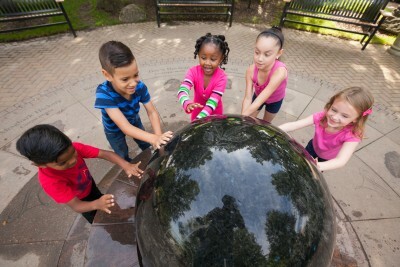 Ten themed gardens offer engaging and interactive activities rooted in hands-on learning. 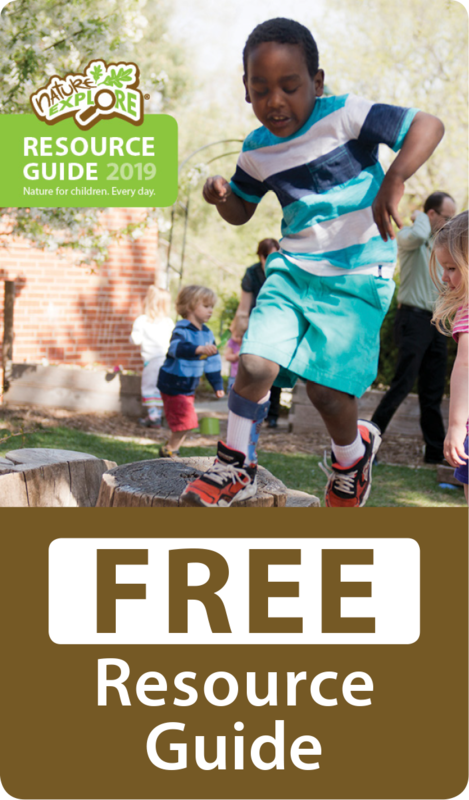 Highlights include the Backyard Discovery Gardens, which present familiar things that children might recognize from their own backyard, encouraging deeper exploration, even upon their return home. Children are asked to look at common things in new ways and to use their senses to explore. Touching, smelling and taking a closer look are strongly encouraged! They can explore the life cycle of plants through interaction. Large, colorful flowers, fruits, and seeds call out to be explored and giant acorns beg to be climbed. Kids can discover how plants grow with a giant tree root model, a tree house, a water garden, and a water feature. This garden illustrates what many Illinois children see in their own backyards. Every year, the field behind the windmill is planted with a crop that grows in Illinois. Another area is Adventure Woods which present the world beyond the backyard and shows how the trees and plants in the Children’s Garden reflect those of the Arboretum at large and the rest of the natural world. Wonder Pond features stepping stones, a faux beaver dam, and colorful water plants. Children can also get “up close and personal” with trees and other plants by accessing pathways and adventurous playground equipment, play in a stream, explore the properties of moving water, and learn that streams carry water into lakes, ponds, and rivers. There is also an opportunity to climb 14 feet to get a better view of the tree branches and look down on the entire garden. A challenging suspension bridge brings you closer to the tree canopy. Assisting a staff of 12, a volunteer corps of more than 180 children and adults helps visitors explore and enjoy the Children’s Garden. 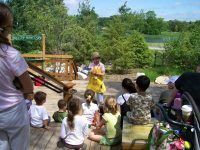 Beyond the four acres of the Children’s Garden, the Arboretum offers a variety of family and children’s educational program year-round, including summer camps for children ages 5 to 12. Cultural events such as Destination Asia and Passport Europe inspire local families to explore cuisine, arts, and athletics from around the world. Three new nature play areas have been established throughout the curated collections to encourage creative play with natural elements such as soil, stones, and wood. The Arboretum continues to expand and grow its learning opportunities for children of all ages.